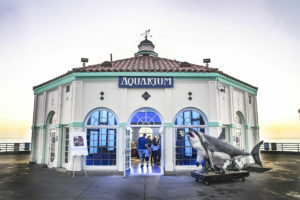 Southern California’s beautiful coastline hosts millions of visitors to its shores, many of whom have spent the afternoon at the Manhattan Beach Pier’s iconic Roundhouse Aquarium. The historic building, originally built in 1920, was transformed in the 1980s into a local aquarium and educational aquatic facility. 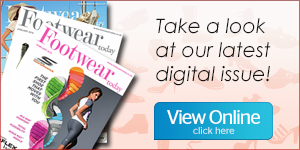 Among its visitors was Harrison Greenberg, son of Skechers president Michael Greenberg. He was an adventurous child who loved everything about the ocean – from days on the beach to frequent trips to Catalina Island. At the center of his youth was the Roundhouse Aquarium – so much so, that Michael once arranged a special gift: to have the Roundhouse’s sea life visit him and his friends at his second birthday party. 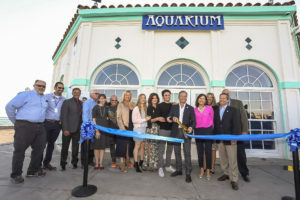 As a memorial to Harrison’s life and love for the ocean, Michael wanted to offer the children of Southern California and the world the same experience that his son once enjoyed – and so he sought out to revitalize his son’s beloved aquarium, which had fallen into disrepair in recent years. With a grand feel that belies its small size, the modernized aquarium’s open design, ocean view, floor-to-ceiling tanks and immersive audiovisual experience of the Pacific’s waters offer a transformative, larger-than-life experience to visitors. The inspired concept was envisioned by Peter Sollogub, associate principal of CambridgeSeven – one of the world’s most preeminent aquarium design firms. Managed by a team of specialists and volunteers from Oceanographic Teaching Stations (O.T.S. ), the new Roundhouse Aquarium will educate and inspire hundreds of thousands of local children and visitors, many of whom will have their first chance to learn about sea life in its intimate, hands-on setting. 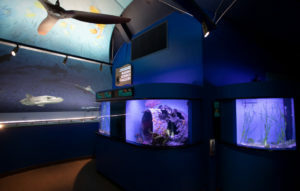 In addition to four sponsored galleries featuring more than 14 marine life tanks and 75 species of marine life native to Southern California and select species from other parts of the world, the aquarium’s exhibits include a sea jellies tank entry, shark tank and additional marine life such as moray eels, seahorses, a sheephead and octopus, as well as a learning center with a new wrap-around touch tank designed to be accessible and interactive to visitors. The Roundhouse Aquarium Beautification Project’s $4 million fund was raised by the Harrison Greenberg Foundation, a nonprofit organization that Skechers president Michael Greenberg founded in honor of his son. 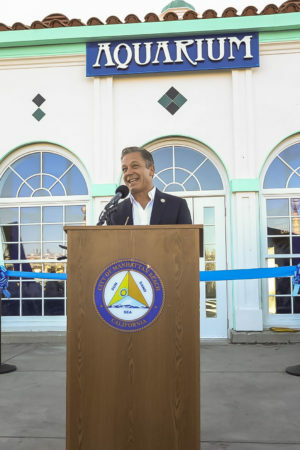 The Foundation now plans to devote its attention to raising funds to support the aquarium’s continued educational programs, camps, maintenance and staffing, to ensure that it remains free of charge and open to generations of future children. To take part and contribute, please visit roundhousebeautification.com. 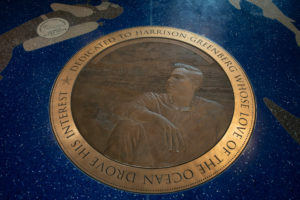 The Harrison Greenberg Foundation was established in 2015 in tribute to Harrison Greenberg’s memory, to ensure that his love of the ocean can be shared with generations of future children. 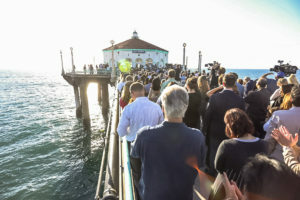 A tax-exempt, 501(c)(3) nonprofit organization, the Foundation raises funds for the revival and maintenance of the Manhattan Beach Roundhouse, a historical landmark and aquarium at the end of the Manhattan Beach Pier in Southern California.